Are you looking for Roof Financing in NJ? 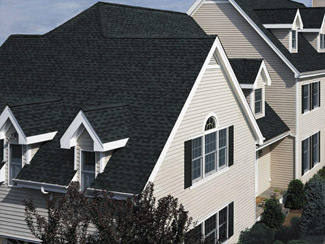 North American Pfister Inc. is offering solutions for Roof Financing in NJ with easy terms and options. 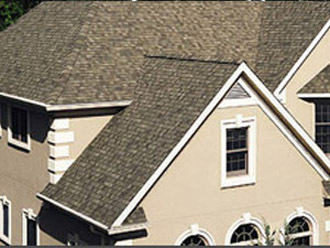 North American Pfister Inc. is the product of a merger between North American Remodeling & Design and Pfister Roofing. Respectively, the latter can be traced back to 1889 with Ernst Pfister. Ernst received a gold medal for excellence in roofing craftsmanship in 1894 and we have continued to refine his techniques since then; as technology improves, so does our roofing skills. North American Pfister is proud to provide customers with the finest products installed with un-paralleled workmanship. This is why we offer financing for roofing. Over time, replacing your roof can increase your property value because curb appeal is very important to house hunters. If your roof is not in top shape, your house can easily be passed over and stay on the market for a very long time. However if you keep you roof clean and maintained, your property value can benefit greatly. With North American Pfister's financing for roofing, increasing your property value is not too far away. Installing or replacing a roof can take a few days. The roofing professionals at North American Pfister Inc. understand this, which is why we offer a payment plan. Roofing financing is much easier with our weekly or monthly payment plan. Just because you do not have all of the money on the day it is required does not mean you cannot have the roof you desire. With this payment plan, it is much easier to keep track of the money you are paying in small increments. This is a much easier way to achieve the roofing perfection you have always wanted. North American Pfister understands that you may not have the money to immediately pay off roofing services. For this reason, our financing system for roofing is your recommended route to beautifying your home. Having a sturdy roof over your head while you sleep is something we take for granted; it is only when we lack what we previously had that we begin to understand its importance. We believe everyone should have the chance to have the roof they have always wanted. For more information on North American Pfister Inc.'s roof financing in NJ, call us today at (201) 794-1422.